22 Participants in are focusing in on their health habits in this fall’s fitness challenge Scare Off the Pounds. 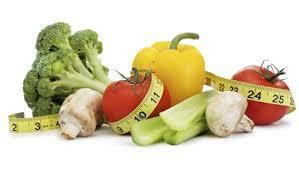 One of the nutritional challenges is to eat a fruit or vegetable every time you eat. This guideline forces you to take in fiber, water content, and many essential vitamins and nutrients (which ones depend on what you eat of course). Also it reduces mindless eating. We’re only 5 days in to the 4 week challenge, and already I’m hearing such positive responses: adding in almonds and avocados to the diet, increasing water intake, having fruit on hand for snacks, exercising more, quitting smoking, drinking way less alcohol and soda, feeling more energized! I’m gonna call it a success already. If you want to join for the next 3 weeks, that’s enough time to create new habits! Contact me today to get started!